Cybersecurity is an issue for everyone. Hackers now target businesses of all sizes and in all industries. Whether you have a small WordPress site or a huge e-commerce site for your business. Here are 10 Cybersecurity questions you should ask yourself to help determine your level of risk. Are your employees required to use strong passwords? A common cybersecurity risk, even in this day and age, is many people use unsafe passwords such as sequences of numbers, birthdates or their children’s names. Strong passwords contain at least 12 characters and contain a mixture of upper and lower-case letters, numbers and characters. It’s also a good policy to have everyone change their passwords regularly. Are all of your company’s devices protected with antivirus and anti-malware software? Any device used in your business, whether owned by the company or your employees, should have the latest versions of antivirus and anti-malware software. This doesn’t always prevent attacks, but it’s an essential first layer of cybersecurity that should be in place. 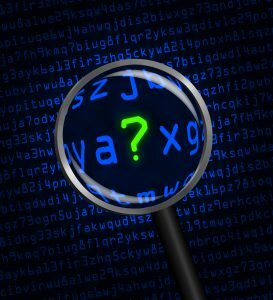 Is customer information on your website encrypted? If data is not encrypted, it can be easily accessed by hackers. Your website should have an SSL Certificate, which encrypts data flowing between customer’s browsers and your website. An SSL Certificate reassures customers, increases your security and also counts as an SEO factor with Google. Do you use two-factor authentication? This process forces you to authenticate your identity, such as by entering a code received via text, whenever you access a website from a new IP address, change your password or attempt any unusual activity. Do you install all WordPress updates? WordPress sites are frequently targeted by hackers. You can improve cybersecurity by only using the latest version of WP. Additionally, make sure any plugins you use are updated as well. Do your employees know how to recognize phishing emails? Phishing, where hackers impersonate banks and other companies, are a common type of attack. Make sure your employees know not to click on links in phishing emails. Do you back up all your files? This is a fundamental cybersecurity tactic that protects you from system crashes and human error as well as cyber attacks. Are your employees cautious about providing sensitive information? Hackers often impersonate other employees and supervisors and request sensitive data. Make sure your employees verify that requests are authentic before providing such information. Do your employees use personal devices for business? Using personal devices such as smartphones, tablets and laptops at work increases the chances of successful cyber attacks. It’s safer to provide everyone with devices used only for work purposes. Do you limit admin access to only those employees who truly need it? The more people who have admin access, the greater your security risk. It’s especially important that admins are well-trained in cybersecurity issues. These are some essential cybersecurity questions to ask yourself and your employees to help you measure your safety when it comes to cybersecurity. If you answered “no” to any of these questions, it’s time to make some changes and upgrade your security. These small business cybersecurity questions will help to keep your business safer. For more small business success tips, including a way to improve your cash flow with invoice factoring, talk to Riviera Finance today.